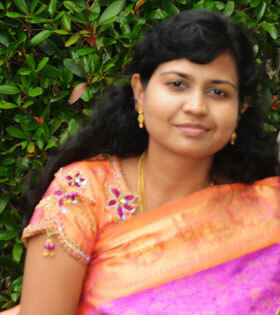 and all Indian bread recipes. 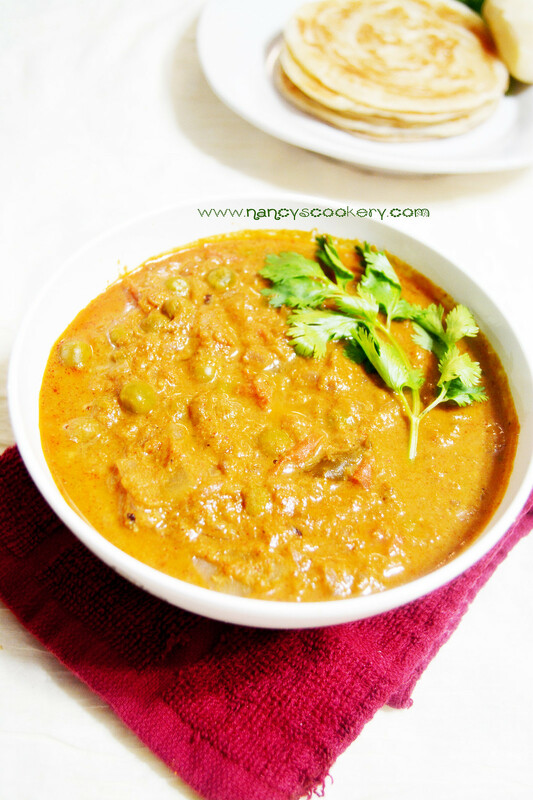 This kurma is easy to make and also makes a healthy diet. I am not a great fan of kurma but nowadays started liking this since we have included chappathi/parotta in our regular diet. 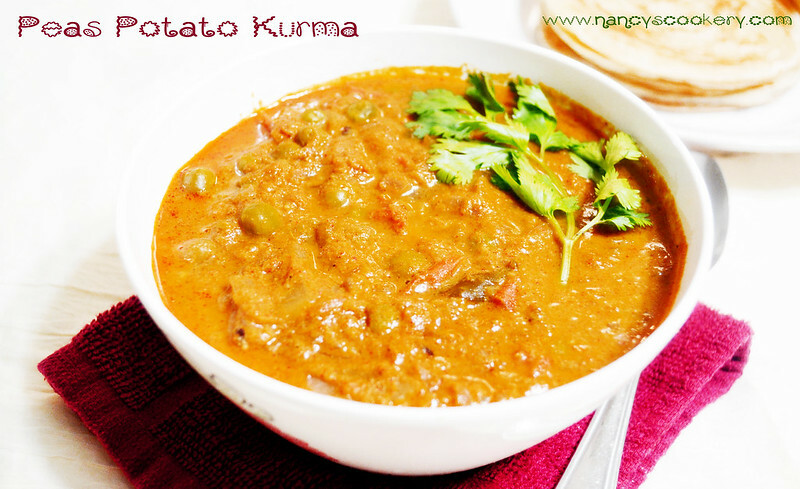 This combination is very tasty and the intake of chappathi/parotta is more with this kurma. 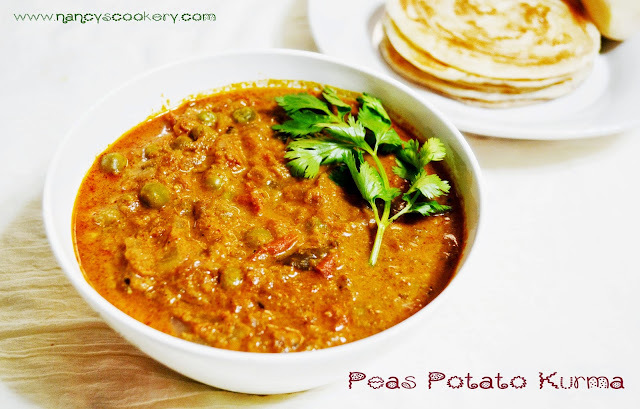 Coming to the nutritional benefit, Peas is very healthy and it is stalked with fiber. Potato is rich in starch. Both these veggies combined, adds to good health. The recipe is simple and it is healthy too. 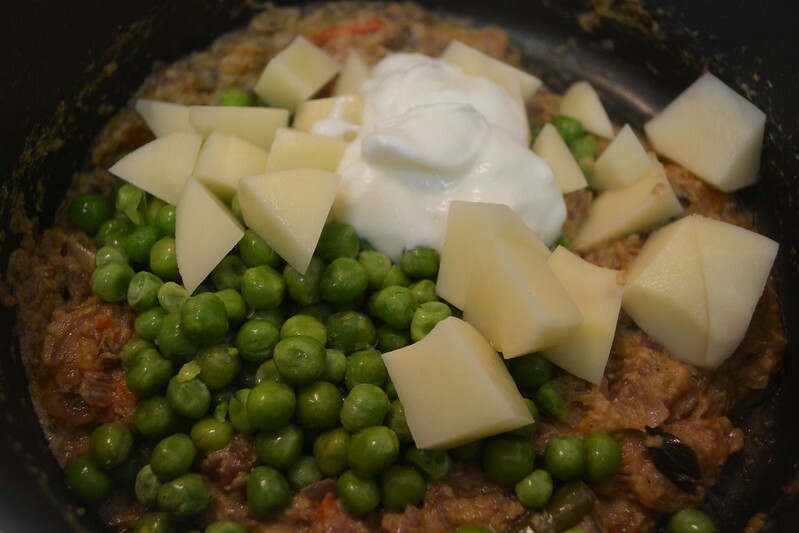 I used frozen peas here in this recipe. 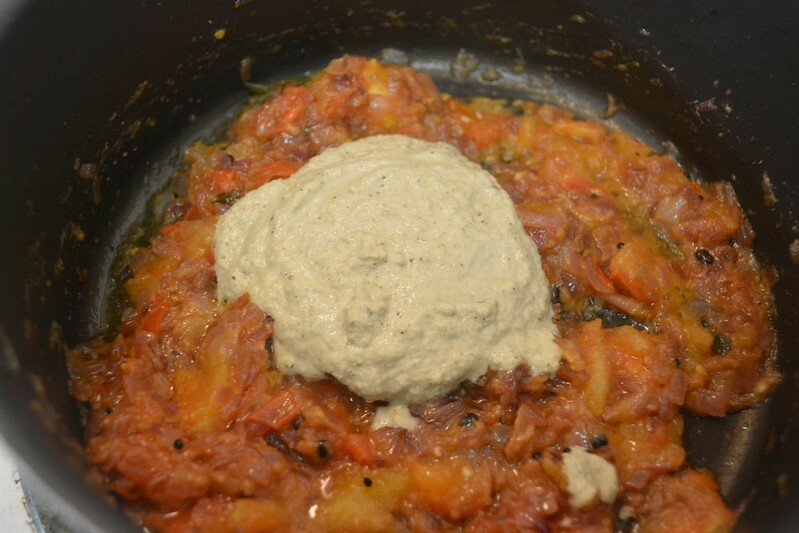 Ginger garlic paste - 1 to 1.5 tbsp. 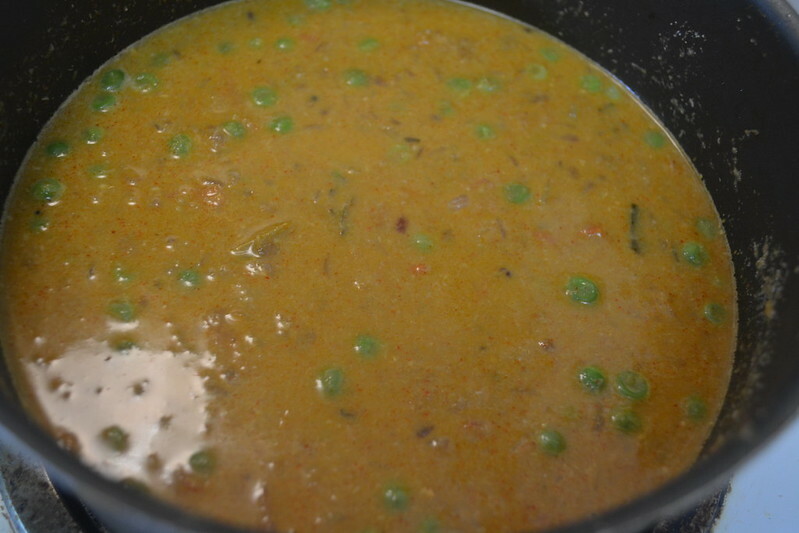 Coriander Powder - 3 tbsp. Chilly Powder - 1 tbsp. 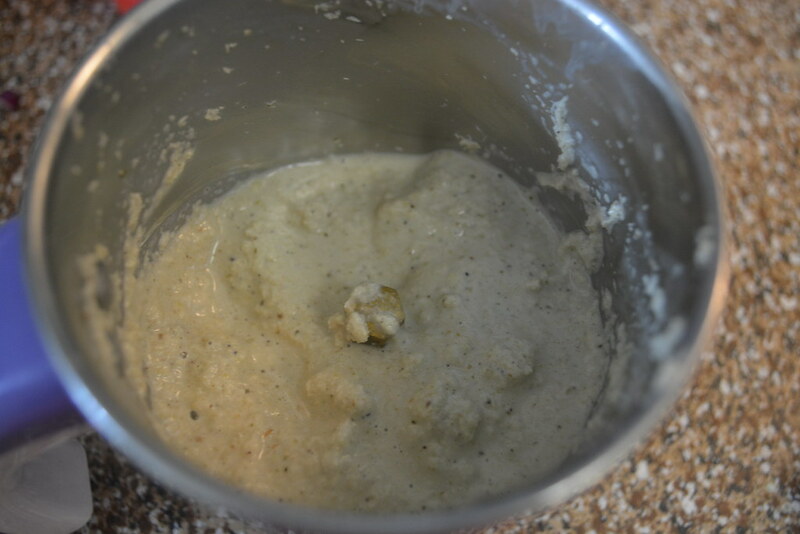 Add all the items 'To Grind' in mixer and ground it to a fine paste. Heat oil in a pan and temper using items under 'Tempering' menu. 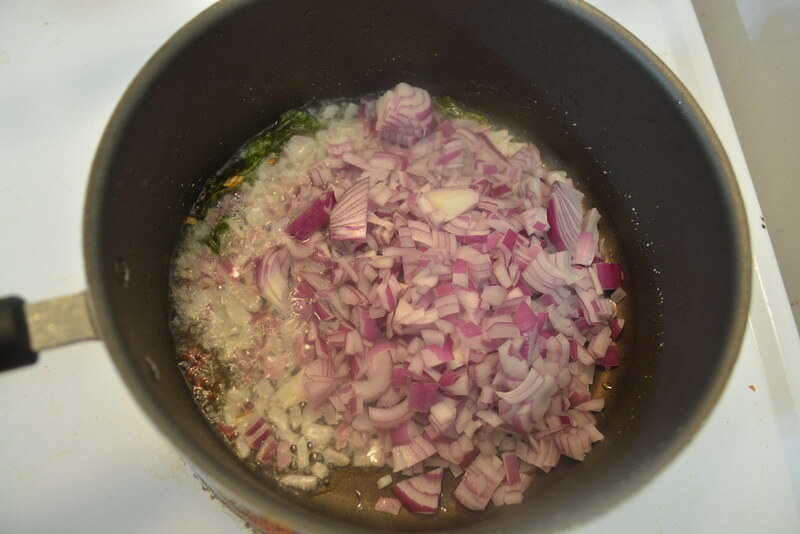 Then add onion. 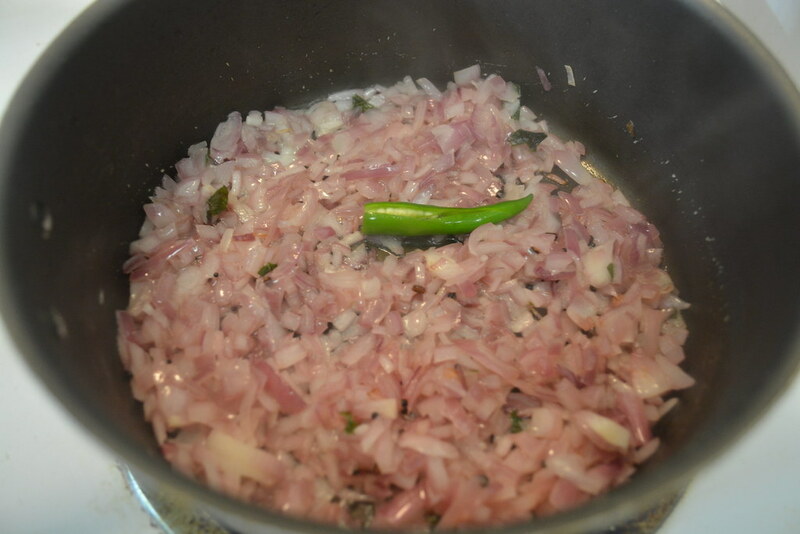 Once the onion is slightly translucent,add green chilly(you can add green chilly immediately after tempering too. 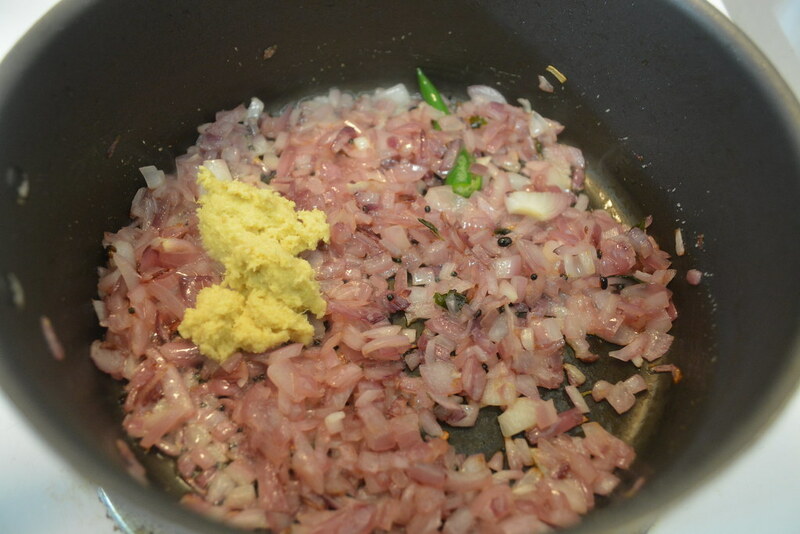 ), saute it till the onion is completely transparent/cooked and add ginger garlic paste. 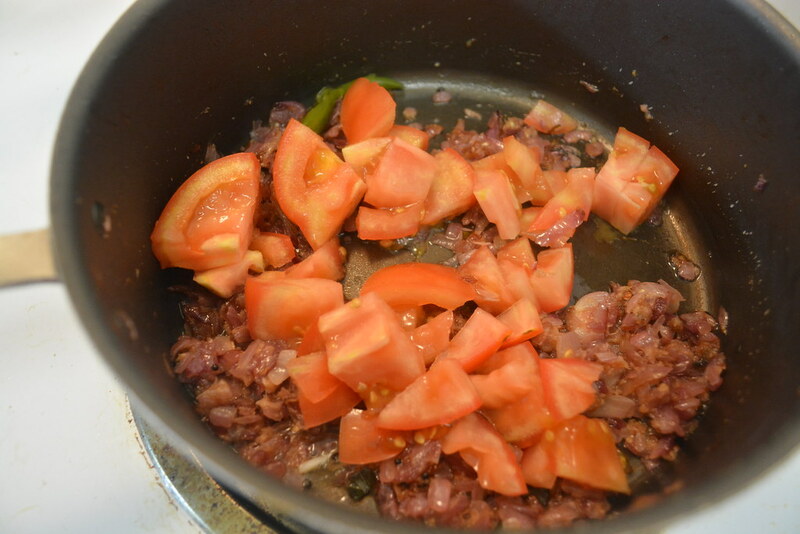 When the raw smell of ginger garlic paste leaves, add tomato.and saute till the tomato is fully smashed and add ground coconut paste. 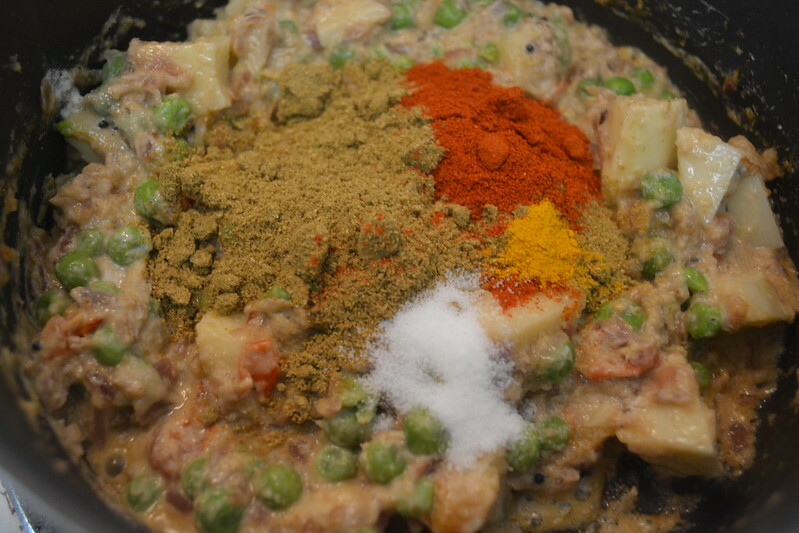 And once the raw smell smell of the spices leave, add peas, potato and curd. Just mix them all and add coriander powder, chilly powder and salt. Stir the above mix and add water. 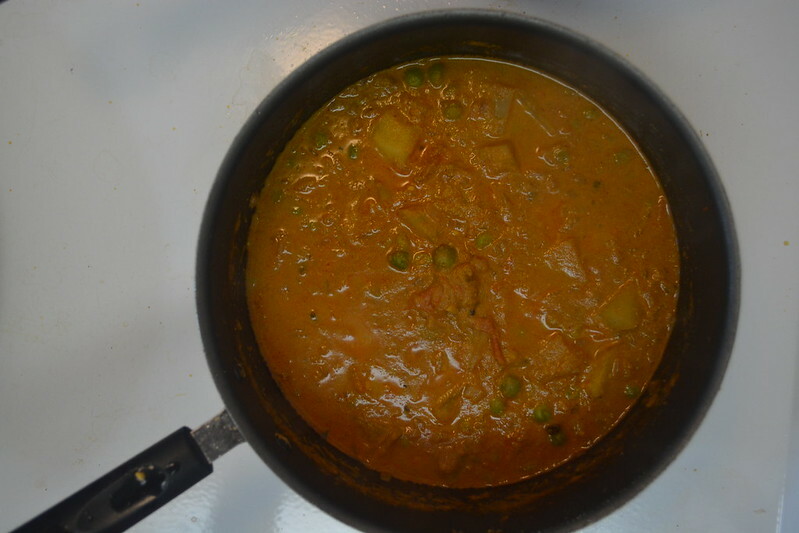 Cook covered till the veggies are cooked and oil separates from kurma and then switch off the heat.